Study #1. Oil on canvas. 20×30. Someone asked me today if I ever painted the same painting, and this is a classic example. I’ve got 3 versions of this happening at the moment. All currently in progress. 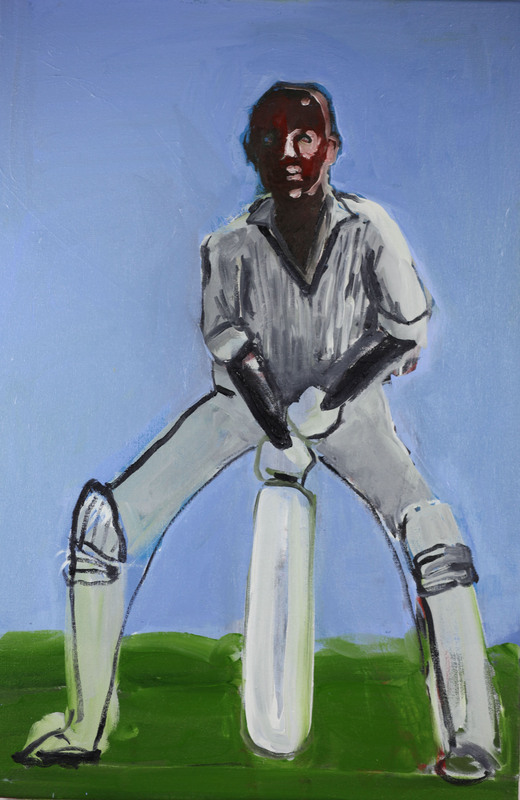 There is something about the pose that I really like – the v.cricket stance of defence. I wanted to over exaggerate the pose, and so have been playing with the stance. 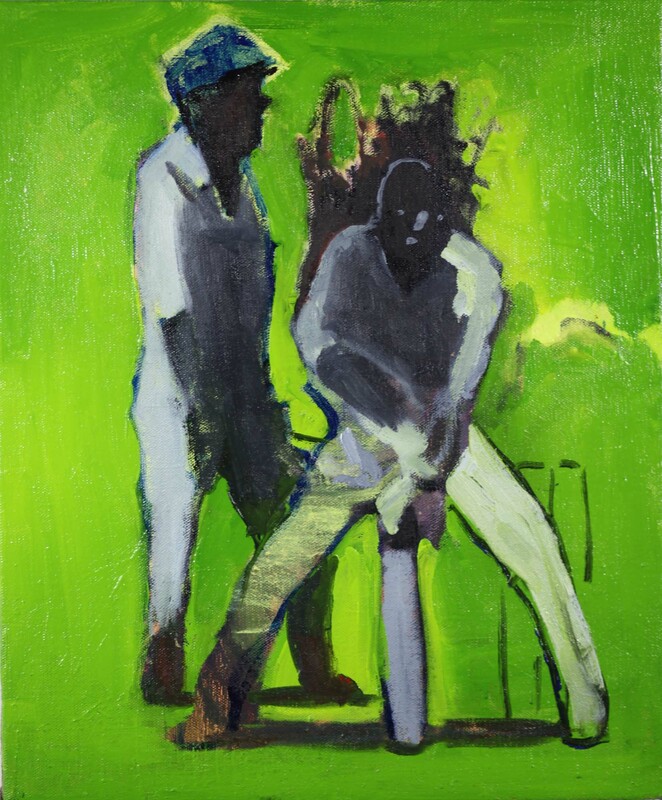 This one is a quick painting on lightweight canvas, with a low horizon to exaggerate the figure. No horizon line, extra player to give context. Vivid green against the dark of the players. Trying to introduce more weight into the pose – find that moment before anything happens: the waiting.